For organizations to get the maximum benefits from cloud, having the right governance in processes is crucial. The Jamcracker cloud governance and management platform is intended for use by organizations as they establish cloud computing governance. It creates business-driven policies and principles that establish the appropriate degree of investments and control around the life cycle process for cloud computing services. Govern Infrastructure resources with custom & inbuilt policies. Leverage cloud policies to manage cloud spend by real time alerts. Policy based provisioning of Application stacks based on department entitlement. Optimize the size of your cloud deployments by Infrastructure right-sizing, move workloads to cheaper regions or delete cloud resources with non critical data after predetermined periods of time. Handle the failure and recovery of a Virtual Machine seamlessly. Lifecycle management and automation of Cloud operations. Enable DevOps team more autonomy and quicker provisioning of cloud resources as a single unit, consistently and repeatedly across multiple regions. Admins can configure Stack Templates with pre-defined instance size, OS and other parameters. Supports creating and managing IaaS resources easily through Ansible scripts. 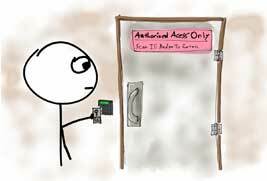 Authentication, Authorization & Access Control for Enterprise users. Create and maintain a single user profile that defines access rights across all services and applications. Synchronizes organizations, users, and associated roles related data from the respective directory servers to simplify the user and services administration in JSDN. Authenticate users logging into JSDN from an external portal using SAML 2.0. Integrated with ADFS for providing authentication and single sign-on (SSO) to applications and services. Manages multiple user roles and privileges across multiple cloud providers. Supports allocation of budgets to various departments or cost-centers or LOBs. Real time alerts when budgets have exceeded or when they are likely to exceed. Notifications when the predefined threshold amounts are breached. 'Showback’ report to illustrate the cost of cloud usage traced back to the business services supported, thereby facilitating chargeback. Events & transactions audited to ensure compliance. 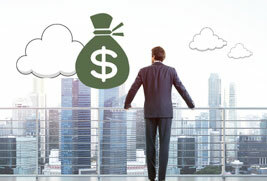 Resource tagging provides visibility on the owners responsible for the cloud spend. Tag analytics & reports can be used as the basis of chargeback allocation. Manage cloud resources across multiple clouds with suitable tagging taxonomy. Optimize & control cloud resources with automated processes and policies using tags. Gain visibility via a single pane of glass of all cloud resources across multiple clouds. Dashboard with complete inventory of cloud resources per account, thereby identifying Shadow IT. Monitor usage & cost trends by different metrics like products, providers and services. Granular details indicating the consumption by region, OS, type of usage to optimize cloud spend. Exclusive Microsoft EA dashboards to view the cost and consumption by accounts, subscriptions and department. Dashboard displaying the private data centre details to enable planning and tracking of migration projects. Compare cloud costs across multiple providers based on the defined criteria. Dashboard providing recommendations to optimize cloud spend related to unused or over-provisioned resources. Review the utilization of cloud resources based on different parameters to get maximum ROI from your cloud. Optimize resource utilization and efficiency of cloud resources by taking actions based on the recommendations. Build your own cloud services catalogs to leverage the advantages of centralized control, centralized discovery and centralized access. Reduce “Shadow IT” with catalogs pre-configured with cloud apps to ensure that only the corporate approved cloud resources are used by the employees. Department specific catalog to avoid cloud sprawl. Approval workflow for all departmental requests thereby controlling cloud spend. 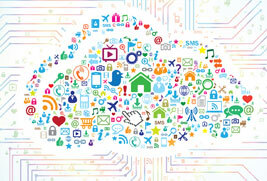 Learn How You Can Succeed With Cloud Governance?